If your kids are as much into slime mine are, you probably know the craziness of finding Elmer’s glue and shaving cream all over your kitchen counters. They are making and playing with slime during their free time, like most of their friends. Now, you can introduce them to this fun twist on the classic slime recipe. 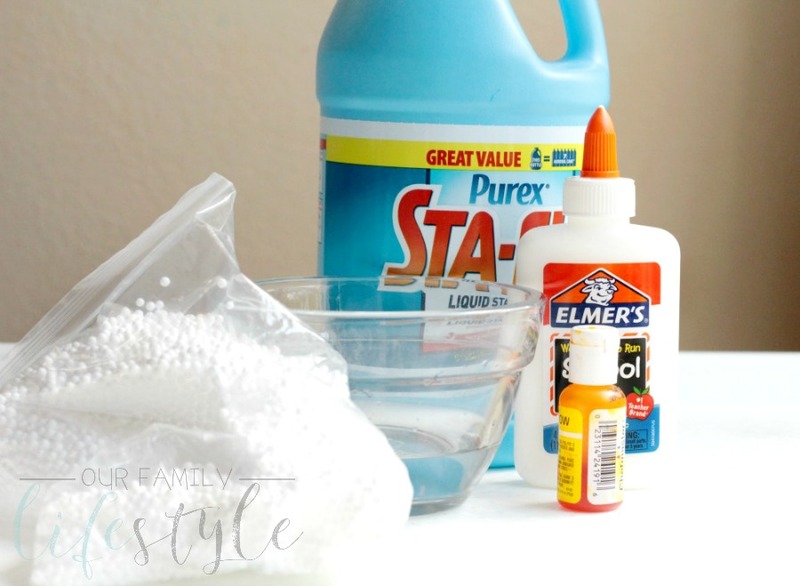 By simply adding Styrofoam beads to your slime mixture, they can experience a whole new way to enjoy the slime: DIY floam! Kids will love this stretchy, bumpy, moldable dough that is perfect for a screen-free summer activity. A new sensory feeling for sensory-seeking kids and, if you get really into it, a terrific science lesson. 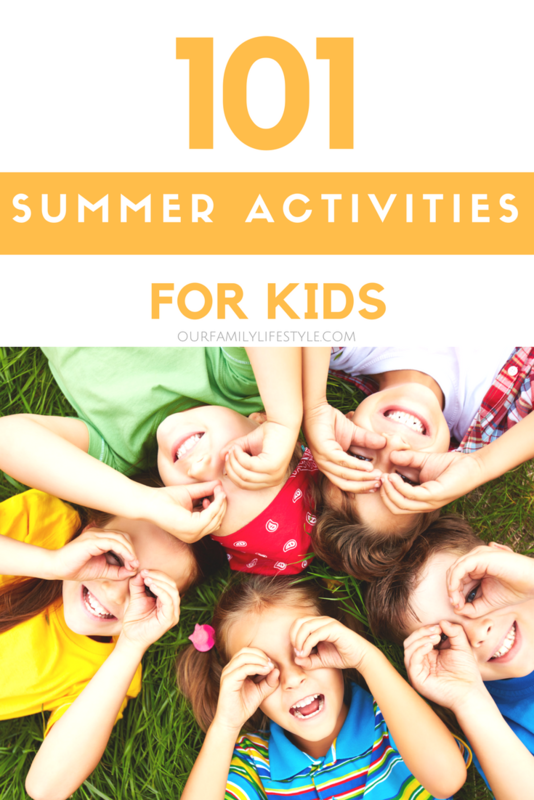 After all, as homeschool parents, we look for lessons in everything. 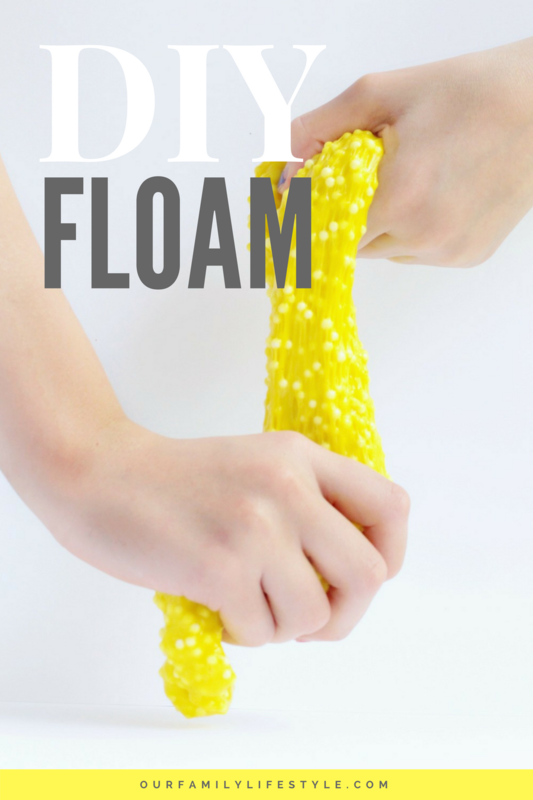 But, why buy floam when you can make your own using these simple steps? Add ½ a cup of water an a four-ounce bottle of glue to a bowl. Mix in your choice of food coloring (we chose yellow this time). Once everything is well combined, add about a cup of Styrofoam beads and stir. Pour ½ a cup of laundry starch into the mixture and stir. 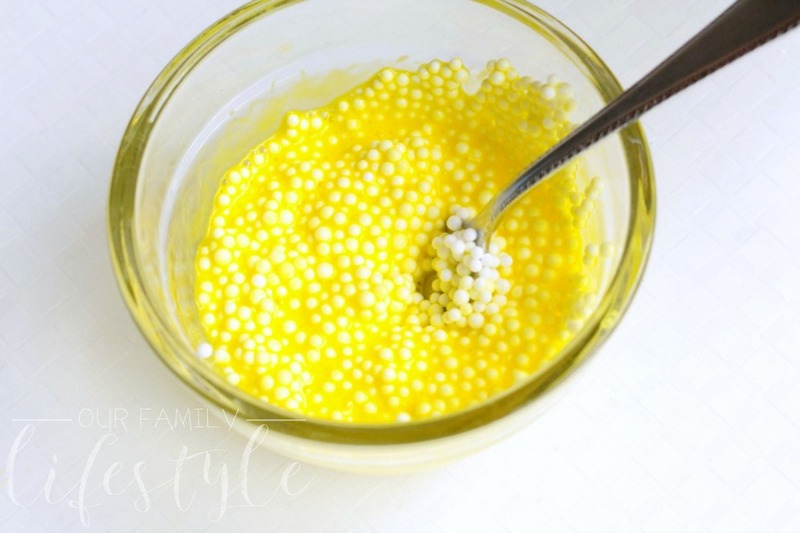 At first, the mixture will be gloppy and the beads may not want to stay inside the mix, but keep working it with your hands and it will all come together after about three minutes. 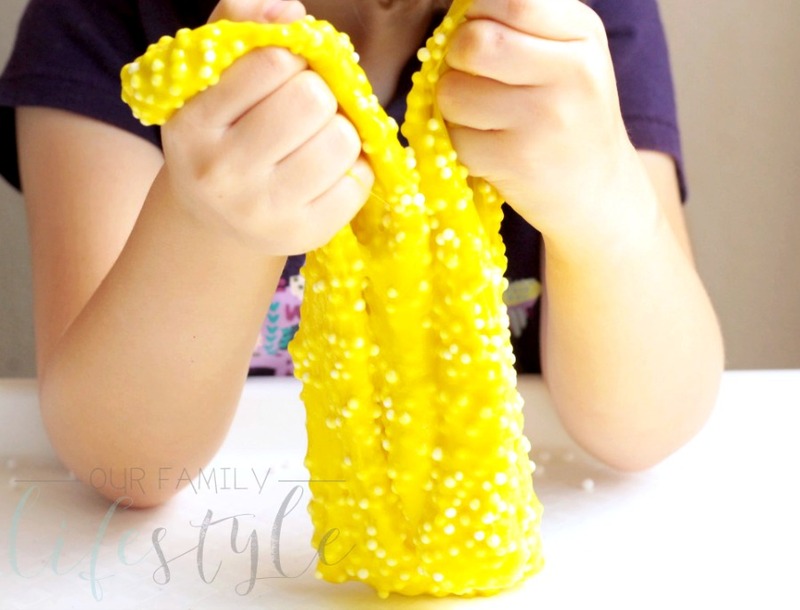 When the mixture starts to stretch and no longer sticks to your hands, the Styrofoam beads will remain in the slime mixture and you can play with it like regular floam. Stretch it, pull it, drop it, and squish it! The girls thought the texture was a lot of fun and they spent a long time manipulating the floam into weird shapes. For Joeli, with her sensory needs, she seemed to enjoy this version even more. Parent-to-Parent: If the DIY floam gets into clothing or hair, it will stick and make a mess. Only play with the floam on hard surfaces and in “play” clothes. If floam gets stuck in clothing, it washes out easily in the washing machine. If it gets stuck in hair, simply wash out with shampoo and warm water, then comb any remaining floam out with a fine-toothed comb.